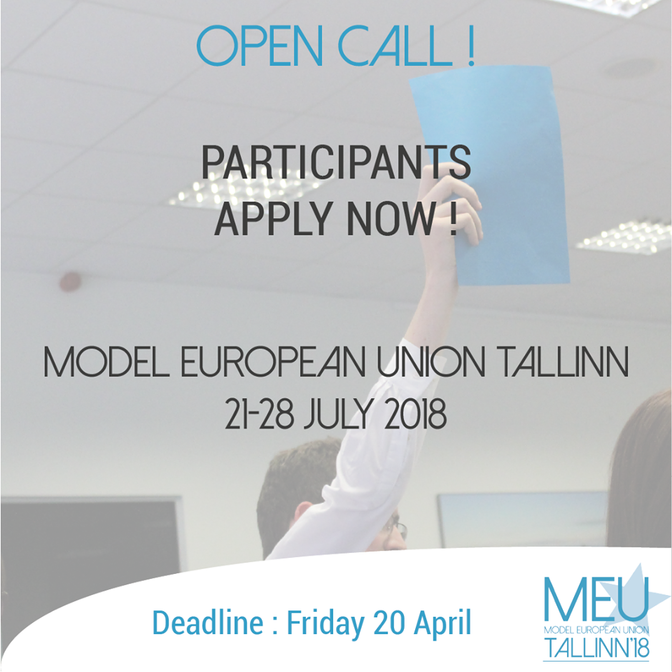 Model European Union Tallinn, a simulation of EU decision-making process in Estonia, has launched a Open Call for Participants. This years #ModelEU conference will be held from 21st till 28th of July! At #MEUTallinn2018 you will have the unique opportunity to put yourself in the shoes of the Minister in the Council of the EU and Member of the European Parliament! Deadline for applications is 20th of April 2018!